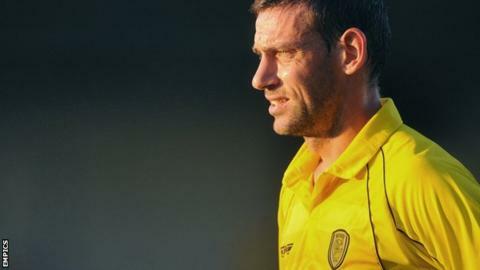 Burton Albion manager Gary Rowett has no regrets in signing retiring veteran Rory Delap. Delap managed just seven games for the Brewers after signing in the summer as he was unable to shake off a troublesome hamstring injury. Delap also won 11 Republic of Ireland caps. The ex-Republic of Ireland midfielder, 37, called time on a career that saw him play in the top flight for Stoke, Sunderland, Southampton and Derby. "We're really thankful for what Rory's done for us," he told BBC Radio Derby. "If I had my time again and I still had the same decision to make, I'd have still signed him and think he's been a really good influence for us in a short period of time. "He'll be a loss but you have to focus on what he gave us. Signing such a distinguished name certainly raised the profile of the club." Having been forced to retire through injury himself, Rowett can appreciate how hard it must have been for Delap, known for his trademark long throws, to hang up his boots. He added: "He's just come to the point where perhaps he's realised that his body can't do what he wants it to do. "It's not an easy decision for him and we respect it. As a friend, and as a player playing underneath me, I will try and help him in any way possible. "It's not going to be the dream ending, but that's life. I've had it and so have many other players, and it's probably the best decision for him."